It’s an odd name, Orange Velvet, for a beer that doesn’t have any oranges in it. It has lime and mango, vanilla and lactose, but no oranges. Be that as it may, this is a superb little fruity IPA that pours bright and golden and smells of Key Lime Cheesecake. The malting, soft caramel and squidgy honey waffles, is made extra rich and ice creamy by the addition of lactose and vanilla. 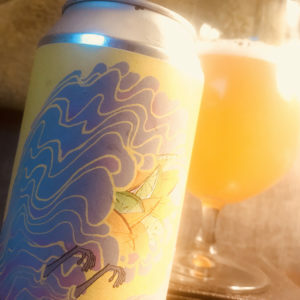 Rather like an Ice Cream Sundae, the beer feels round and smooth, the hops adding some herbal bitterness while the lime and mango work together to make the finish bright and zingy, fresh and fruity against all that sweet vanilla ice cream. In fact, I’d go as far as to say that Orange Velvet matches its can, big and bold, full of noise and fun, reminding me a lot of Lightning Bolt’s Record covers. They too are big and bold, full of noise and fun. 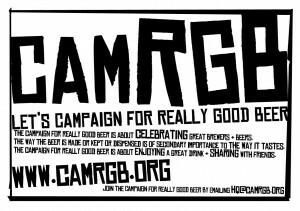 This entry was posted in Beer Review, CAMRGB and tagged Beer, Beer Review, CAMRGB, Can, Canned beer, Drinking, Fruit beer, Lactose, Pale Ale. Bookmark the permalink.